Dr. M.A. Hajianpour is a caring and highly respected physician with a clinical focus on non-surgical management and pediatric issues. Following his orthopedic surgery residency at the University of Miami, where he served as chief resident, Dr. Hajianpour completed a fellowship in pediatric orthopaedics at Miami Children's Hospital. He then founded Total Orthopaedic Care in 1989. Dr. Hajianpour strives to provide the best quality orthopaedic care for all of his patients. Treating patients of all ages, he manages conditions from arthritis to scoliosis and much more. He holds the patents for over 99 unique medical and surgical inventions that have vastly improved the field of orthopaedics as a whole. 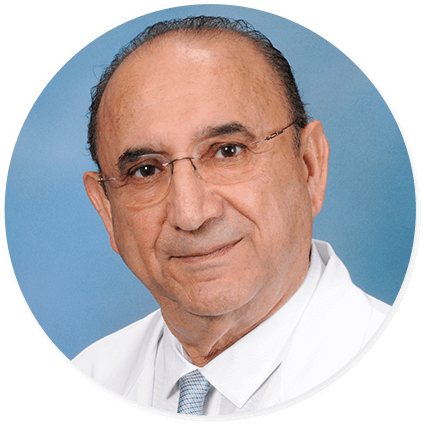 Dr. Hajianpour is board certified by the American Academy of Neurological and Orthopaedic Surgeons and a fellow of the International College of Surgeons (FICS).